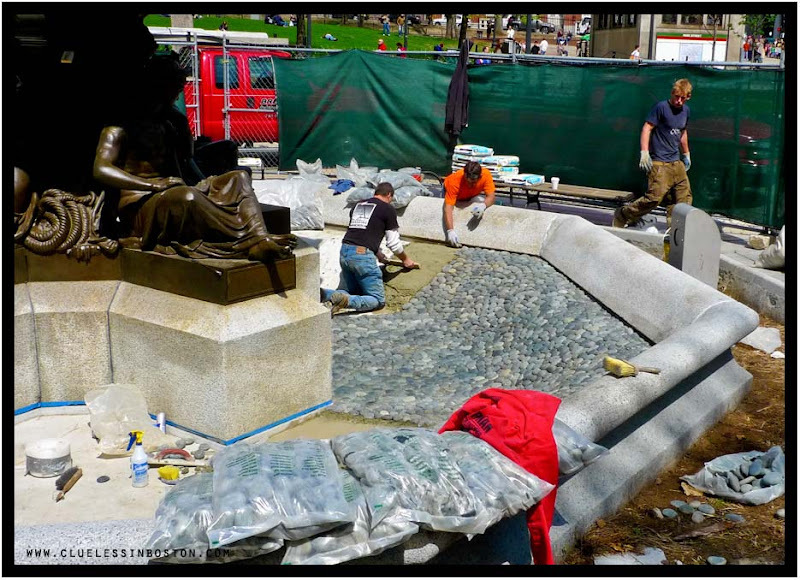 After the winter months, work on Brewer Fountain has re-commenced. In order for it to be a beauty come summer! I hope you'll continue to show us progress reports. I hope you did not have to sneak inside the construction site to take this photo, but if you did, it was worth the effort. Like Brattcat, I look forward to before-and-after photos. Is it a beer fountain? :) Wow!